Hello friends!!!! Cool stuff a day early!!!! That's a first. Happy T-day today and have a happy day after Thanksgiving, aka NOW IT'S CHRISTMAS TIME!!! My mom is making my favorite stuffing, she makes it very plain for me and adds roasted chestnuts. I have exactly 2 strands of Christmas lights hanging already, but really, they're just wintery glow...not Christmas per se. They will be up until February. Will you eat LOTS of pie? It might snow next week, I'm so excited! I'm very excited to make some gingerbread. I need some long underwear. One year, I put up my tree ON T-day itself. That was an awesome T-day! Is this stream of babble wearing you out yet? SO thankful to all the folks who read my blog and for the friends I've made here. I hope whatever you're doing today, you have a lovely time. This cookbook just jumped onto my Christmas wish list! LOVE LOVE this idea for holiday cards. I collect Peter Pan books. This one looks unbelievable. Really liking the lunch series on Design Mom! Basic, real food that seems easy to do for a kiddo lunch. Check out this blog! Looks cute and cozy! Cozy soup! I like cozy! Really cute make-believe inspired holiday gift guide!. Fun idea for old photos. Ooooh I want this! Sweet Paul Holiday Kids! 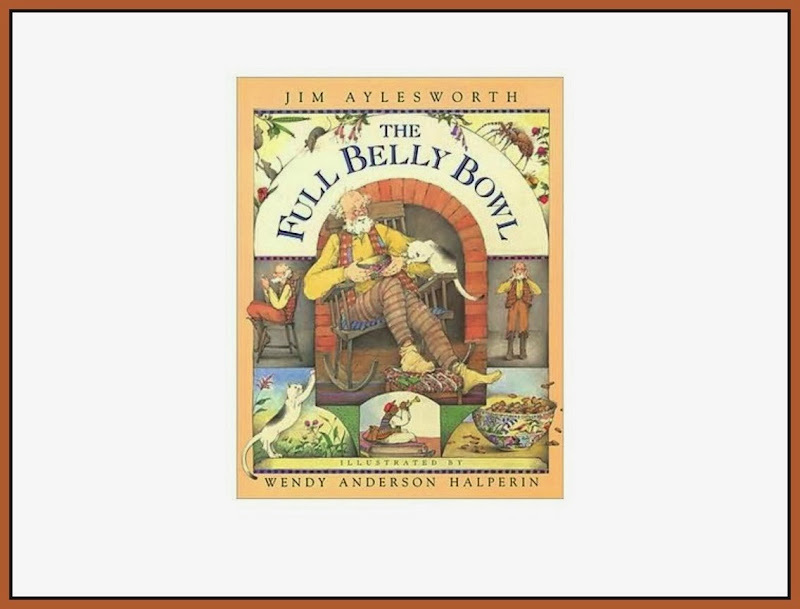 Cool Book of the Week: 'The Full Belly Bowl' by Jim Aylesworth and OH so charmingly illustrated by Wendy Anderson Halperin. This one is a CUTIE and very appropriate for Thanksgiving! It's actually a folktale about a kind elderly fellow who rescues "a wee man" from the jaws of a fox, and in thanks, the wee man gives the elderly gent a magical bowl that multiplies whatever you put into. The man soon figures out that you can put other things in the bowl besides food, and chaos ensues, of course. In the end, the full belly bowl turns out to be more trouble than it's worth, but the old man doesn't mind because he was cool with his simple lifestyle to begin with. The illustrations are veeeeeeeeeeeery cool, kind of like a watercolory, softer Jan Brett?? Anyway, super neato. Have a LOVELY weekend! This weekend, we're off to see the movie 'Frozen', so excited! And then we are hanging out and getting Christmasy!!!!!!!! Yeah. I'm sorry. T-day just slows me down from getting my Christmas on. No offense T-day. Happy Thanksgiving, Melissa! We are off to see Frozen on Sunday, it's Charlotte's first movie... very excited! oh how fun!!!!! I can't wait to see this one!!! Happy T-day to youuuuuuuuuuuu!!!!! Good list! Helped calm me down in the few extra minutes I had before leaving for the family dinner. i helped someone feel calm?? tee hee that made me giggle. actually, in all seriousness, you know what calms me? PINTEREST. it's like meditation for me, no jokey. 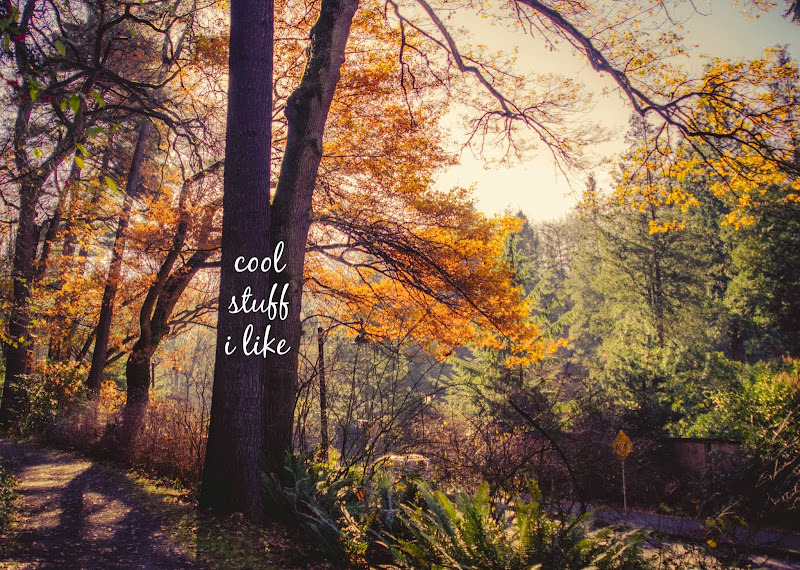 cool stuff i like= you writing cool stuff i like on a tree. i like to scribble on my photos :). the new christmasy stuff over on picmonkey might send me into new heights (lows) of bad taste and over the topness. Yay!!!!! Sigh...I love your pinterest boards! You never ever wear me out.